RMM strives to provide college internships that are unique, educational, and meaningful to the work at hand. Interns come from around the country, and occasionally around the world. Your major doesn't matter, what matters is that you possess a commitment to justice and are looking for a challenge. New Posting: We are accepting college interns in the Poughkeepsie, Finger Lakes, Catskills, and Long Island offices. We are willing to work with institutional requirements for credit. We have been known to help interns create their own position, and in doing so shape the skills they learn. To apply, contact the supervisor listed on the position that interests you. For the semester unpaid positions the most important part of applying is a candid conversation, to assure that your skills, schedule, and interests match the needs and opportunities we have to offer. Some supervisors may also request a resume. 2017 Summer cohort pictured above! 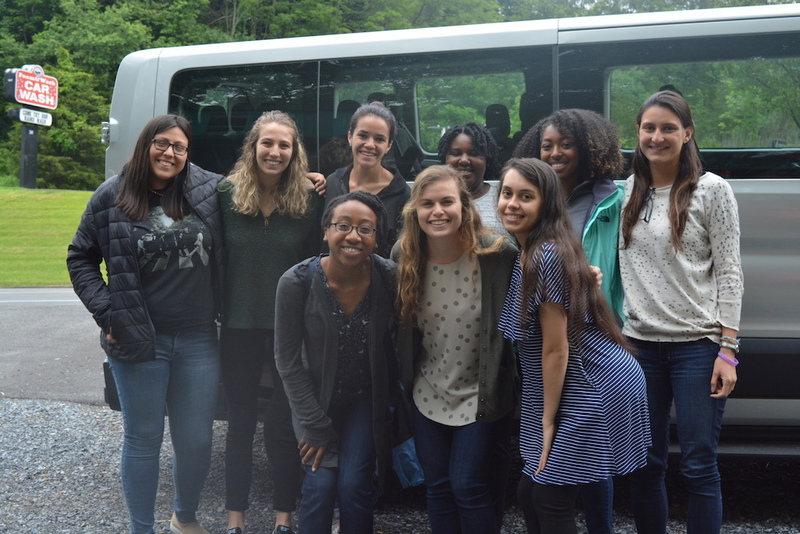 The full-time summer internships help make programming happen during the busy months when schools are out, Albany is in session, and harvest season is beginning. Whether you are interested in youth empowerment, legislative organizing, or popular education, there are positions available. We treat summer college interns as part of the staff and guarantee support throughout the summer. Download summer 2019 internships here! RMM also provides a limited number of Fellowships to recent college graduates looking for grassroots experience. Fellowships are educational, full-time, and generally range from 6-months to 1-year. Typically, Fellowships have arisen from a specific source of funding such as a grant or large donation RMM has received to complete a project, an opportunity from the graduate's academic institution or a national funder, or mission funding from a faith group. In memory of Jim Schmidt, the Working Together Coalition provides a fellowship for someone who is either a farmworker or from a farmworking family, to develop their leadership and organizing skills through a 10-month affiliation through an organization working with farmworkers in New York (in 2018 it is RMM). In the spirit of Jim’s long history as an educator, trainer, and radicalizer of many a young leader, this fellowship offers an educational experience that directly relates to Jim’s politics, influences, and daily practices. Visit the Jim Schmidt Fellowship website for details. Application for June 2018-March 2019 Fellow is now open. If you are interested in getting to know us further, consider attending Alternative Spring Break. The transformative experience provides the opportunity to witness farmworker experiences and leadership, and explore how to nurture a social justice movement.